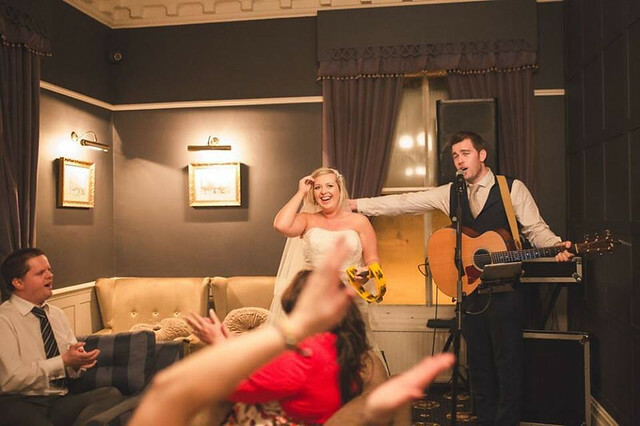 Alex can offer a complete entertainment package perfect for any wedding having performed as a wedding guitarist and singer at various weddings in the UK and Europe as well as throughout Manchester and Greater Manchester. Alex will work with you to pick out the perfect set list for your big day getting your guests involved and singing along. Whether it is an all day entertainment package, a ceremony or wedding breakfast performance or just a full evenings package with disco, Alex can tailor a program to suit your requirements.